Construction starts and house sales in Judea and Samaria are down 70% in 2010 compared to 2009 as there is nothing to buy. 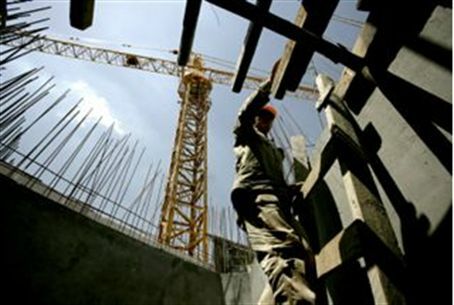 Construction starts and house sales in 2010 dropped by 70% in Judea and Samaria and by 30% in Jerusalem, compared to 2009. Housing is almost impossible to find throughout Judea and Samaria as a result of the ten month freeze that ends in September, according to Yisrael Ze'irah, the director of BeEmunah, a group that promotes religious-Zionist housing. In places like Efrat, Maaleh Adumim and all of the large settlement blocs, Zeirah said, all of the housing has been sold out and prices have risen dramatically as a result. As a result, he told Arutz Sheva's Hebrew language service, some of the demand has turned elsewhere, to “old Israel” within the 1949-armistice lines. Zeirah called on the religious-Zionist public to take interest in housing in these places as well – many of which are in a process of strengthening religious identity.